Works very well with my chemistry, I get compliments all day and into the evening, lasts and lasts. No allergic reactions, and a very clean scent. Very happy to have found this. 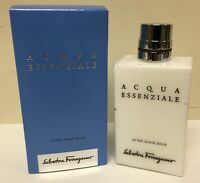 When I was on my honeymoon we flew with Singapore airlines and they gave us a one oz sample of this cologne I loved it since and I couldn’t find it in any stores so I was so excited to find it here on EBay!!! Good composition pretty smell ..